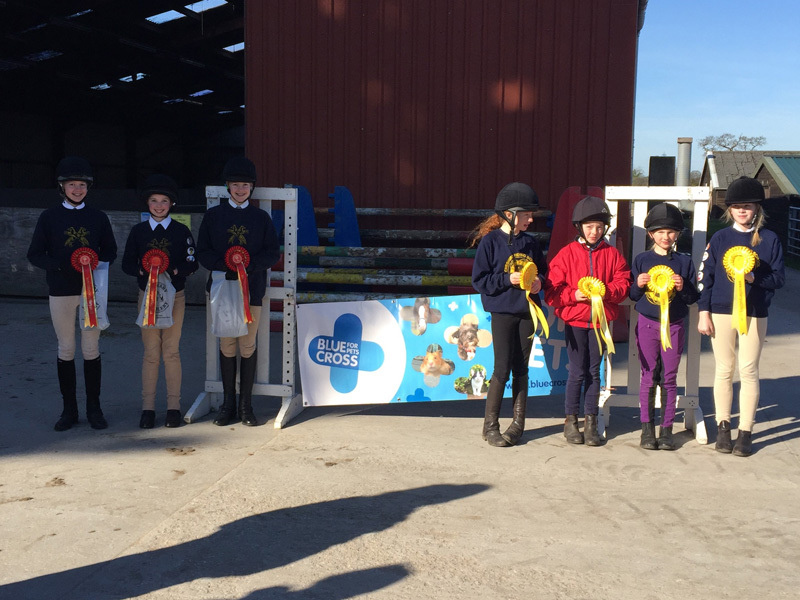 On Monday 15th February, Foxes Riding School hosted the Area 5 Blue Cross Horse and Pony care qualifier. 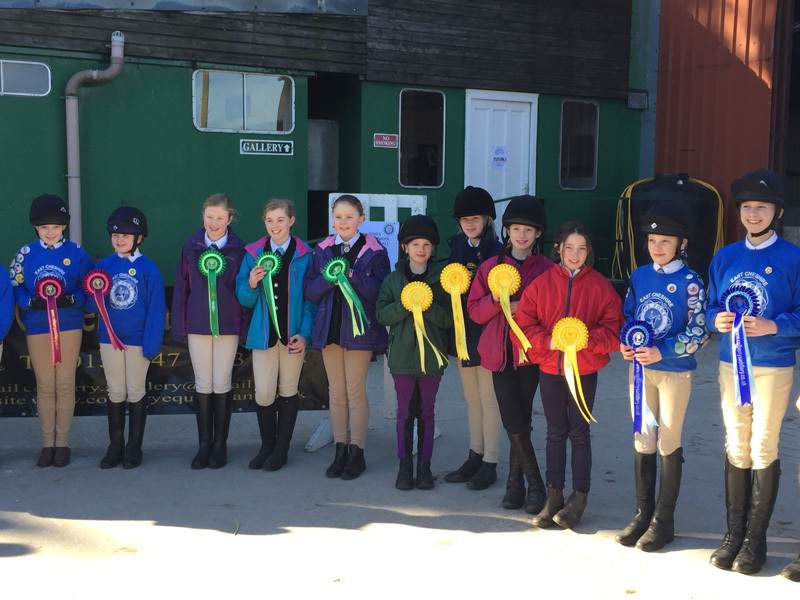 We welcomed Area 5 Pony Clubs, both branches and Centres to Foxes Riding School to take part in this Championship Qualifier. 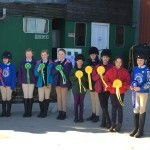 The competition is split into two sections; Junior and Senior. Senior and Junior teams make their way around different ‘stations’, each of which compromised of a different theory or practical based topic. Ten minutes were spent at each ‘station’, during which time the teams were asked a series of questions to be marked by the examiner. 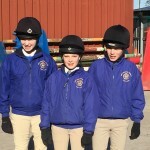 More details on this can be found here on the Pony Club website. 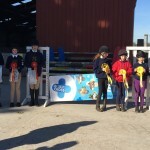 The Junior Teams went first in the morning and they all did fantastically well, the winning branch team and winning centre team go through to the Horse and Pony Care Championship so a special congratulations to team Badminton of Sir Watkin Williams Wynn’s Hunt Branch and to Team 1 for the Cheshire Riding School who qualified for the Championships. 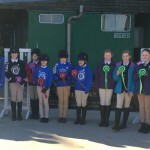 Foxes Junior Pony Club Team came a 4th overall and put on a great performance missing out on qualifying by only 1 point!!! 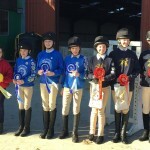 Well done to Freya, Juilette and Rebecca. 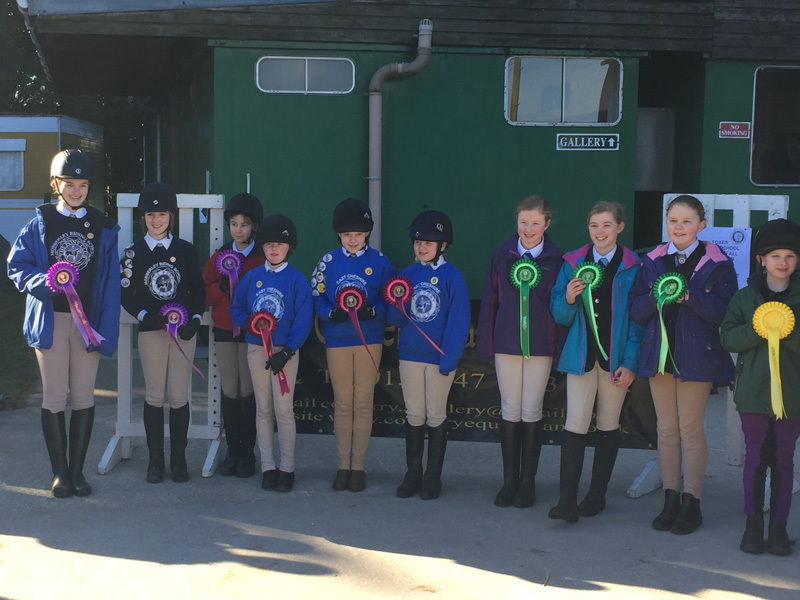 During the morning, the junior Pony Club teams were treated to a Dressage Demonstration by Anna Davey on Foxes very own Dallas, one of our Riding School horses. 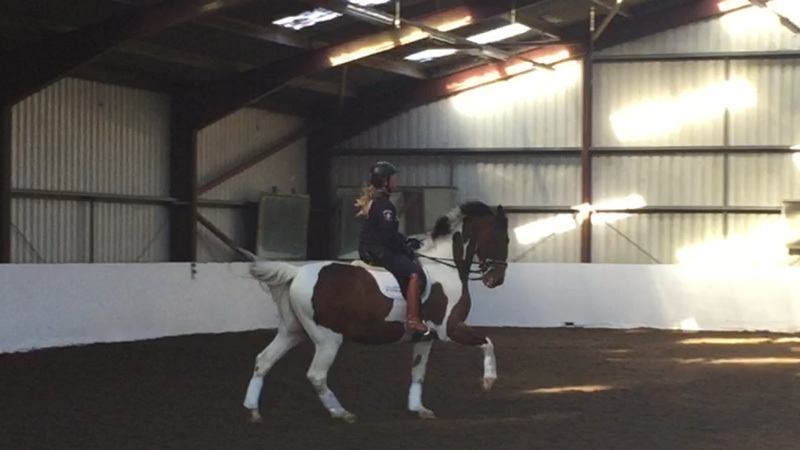 Anna talked through warming up and showed our teams different movements from Passage to half pass, explaining as she rode what she was asking Dallas to do and why warming up your horse is so important, there was a huge round of applause when she finished – thanks Anna!! 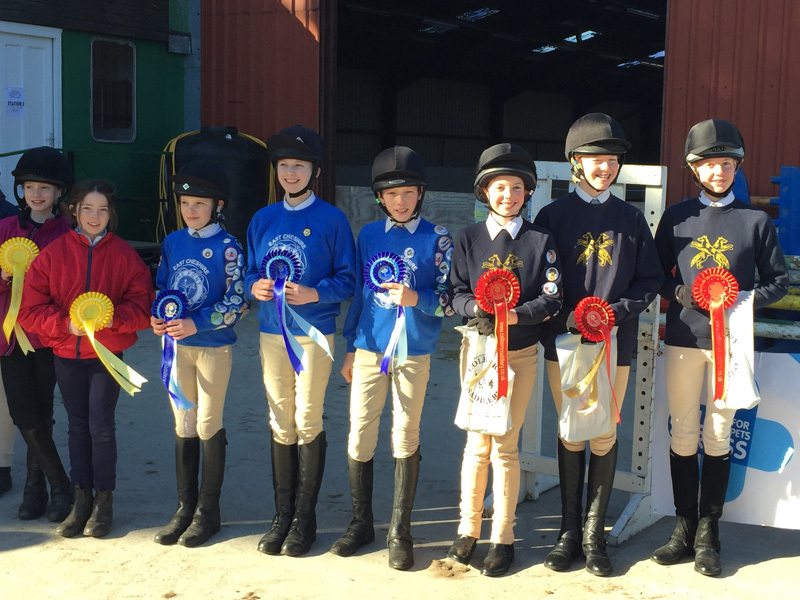 The Senior Teams went next in the afternoon and we had 3 teams in total and we are delighted to say that the team going through to the Championships was our very own team Red Wings for Foxes Riding School – huge congratulation to Ruth, Millie and Morgan!! 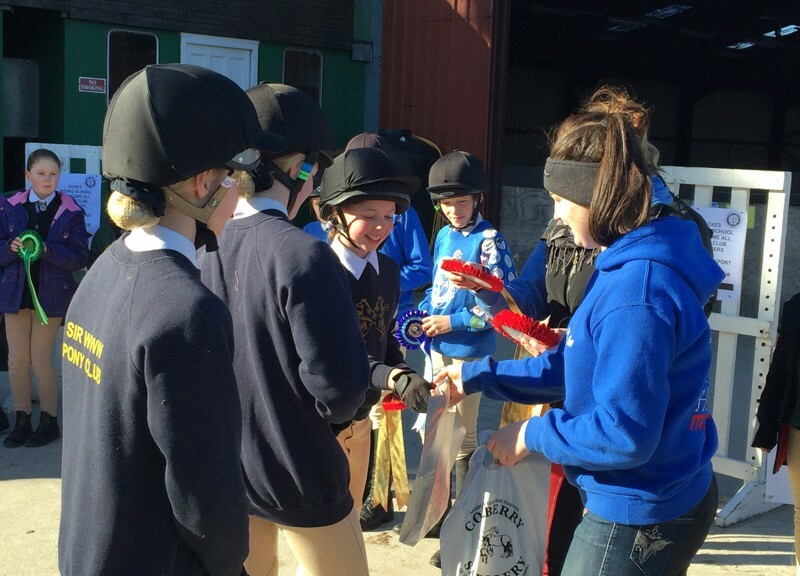 Big thank you to all the teams for making it such a fantastic day, all the winners won fantastic rosettes and the first place teams also won goodie bags courtesy of Colberry Saddlery who sponsored the whole day. Also thank you to all the volunteers and judges that helped with the smooth running of the whole day. Click here to download the timetable! 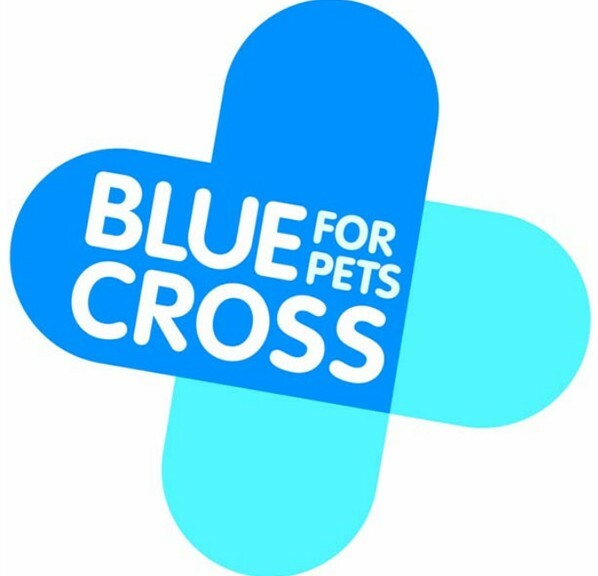 February 15th 2016 at FOXES Centre on the Wirral. Closing date FEB 1st. Sen and Jun Teams. Schedule and Entry forms on Calendar. Please note there is an amended schedule on calendar. Senior Team Eligibility: Teams to consist of three Members. Ages to be 14 – 25 years of age on the 1st January 2016. One Member to be 16 years or under on 1st January 2016. Of the remaining two Members, one may be between 21 and 25 on the 1st January 2016. 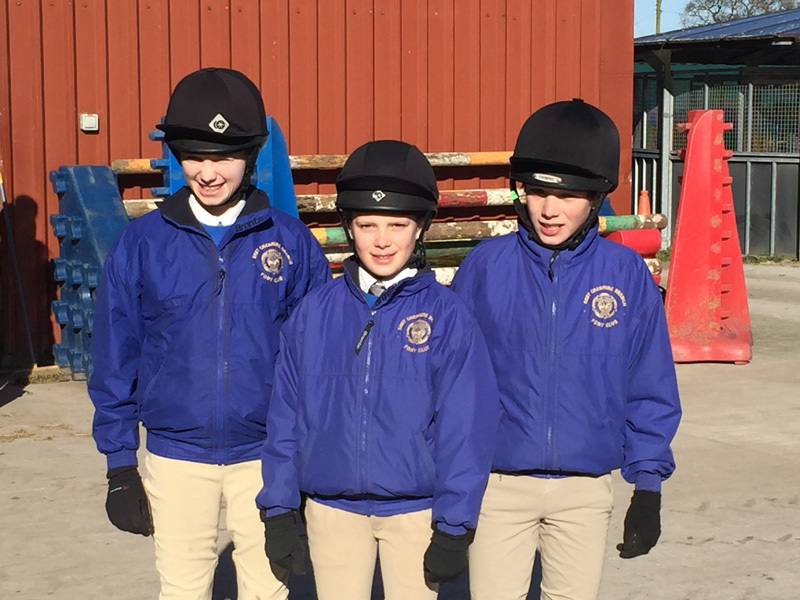 Junior Team Eligibility: Three Members 13 years and under on 1st January 2016, one of whom must be 11 or under on 1st January 2016.